Every spacious suite at Lorocco has a private ensuite and easy access to our communal areas. We offer a very secure environment to provide additional safety for people needing memory support. Most suites have direct access to a private patio to enjoy the outdoors and soak up some sunshine. 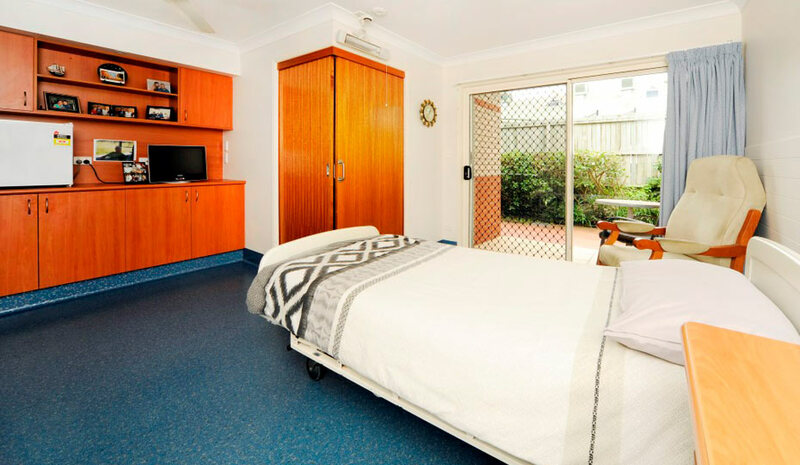 Lorocco’s Secure Dementia Room is a Specialist Care Suite that is medium in size (18m2 - 27m2) in a secure environment, providing peace of mind and safety with keypad entry and exit. All rooms have a private secure balcony or patio where the fresh air can be enjoyed. Lorocco’s Reserved Suite is a single, medium (18m2 - 27m2) sized room. It has a private ensuite, quality fittings and bedroom furnishings. These suites have a patio which you can personalise with outdoor furniture and plants. We know how hard it can be to begin the process of selecting your aged care or senior living residence. Rest assured, we’re here to make this transition as smooth as possible. We’re always here to help you, so please call us at any time to discuss your needs.